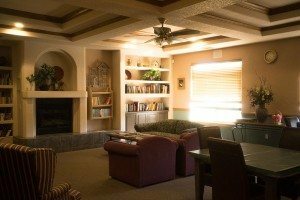 Home Community for Seniors in Las Cruces. Located on Avenida de Mesilla just south of I -10, this 55+ senior community was specifically created for retirement in the southwest. Meticulous attention was given to the creation of this New Mexico manufactured home community for seniors. 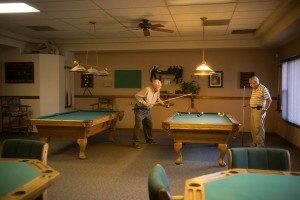 A vast array of facilities, activities, and amenities unmatched by any other senior manufactured home community in the southwest awaits in Las Cruces, New Mexico. Retirement in the beautiful climate and rich culture of the southwest is even more appealing at Trails West, where the active senior can enjoy an affordable, carefree lifestyle. And because Trails West is a gated community, it enables security minded community residents to enjoy controlled access provided through their private phone lines. Seniors 55+ can enjoy peace of mind knowing access to the retirement community is electronically controlled. Trails West is in the ultimate location, close to churches, medical facilities, New Mexico State University (theater, symphonies, concerts and golf), Munson Senior Center, and unique southwestern shopping in Las Cruces, New Mexico. 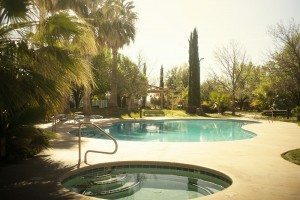 Trails West is also within walking distance to many fine restaurants, the city bus line, and the old world charm of neighboring Old Mesilla. Trails West is located in a unique, exlusive area with controlled and limited growth potential offering an undisturbed, quality neighborhood. If you are looking for a retreat, a place to relax, a place that is safe and secure, an active community with young, fun-loving attitudes, then Trails West is just the place for you. Enjoy retirement in the billiards and card room, exercise area, fireplace, conversation area, lending library, and our Multi purpose room with full kitchen.